Could it be an Owl? Perhaps a Great Horned Owl! WOW…don’t you just love nature and being in the right place at the right time to capture those pictures? Nice! Nice shots – thats a species (more or less) that I can see in Australia. Cheers Stewart! 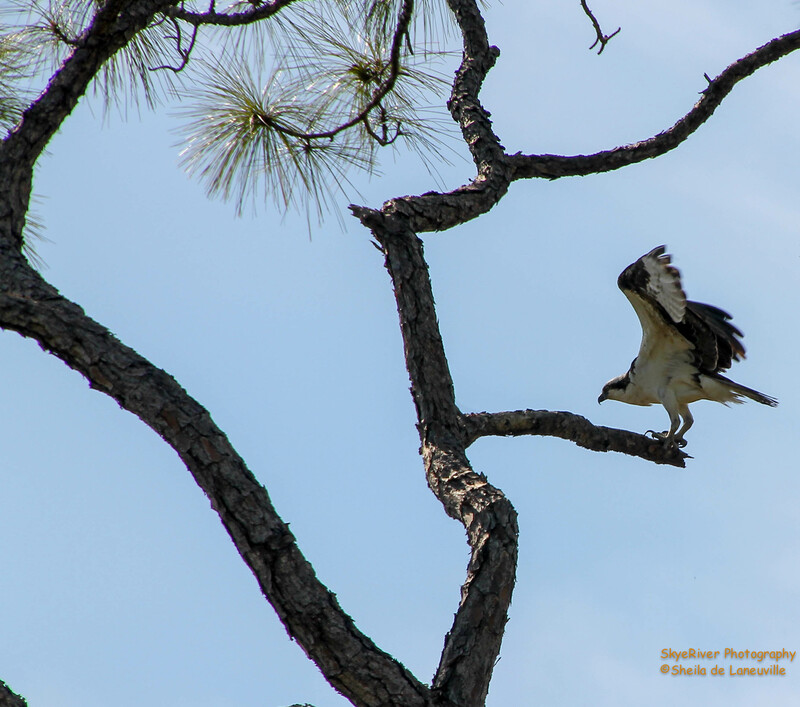 The Osprey are plentiful and beautiful! Glad you have them in Australia. 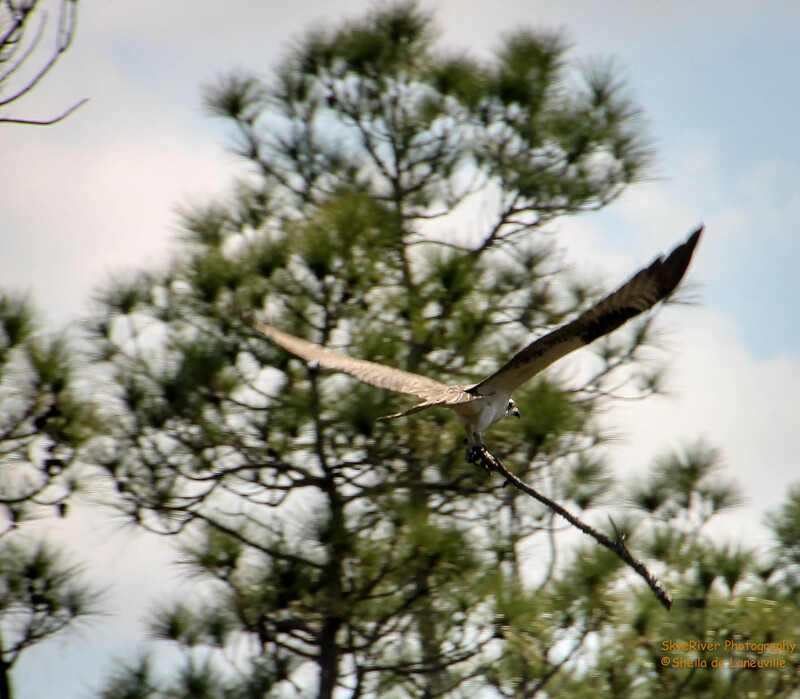 Ospreys are a magnificent bird, some good shots! Hello Sheila, the Osprey is a cool bird. I love to see them here in the Spring. 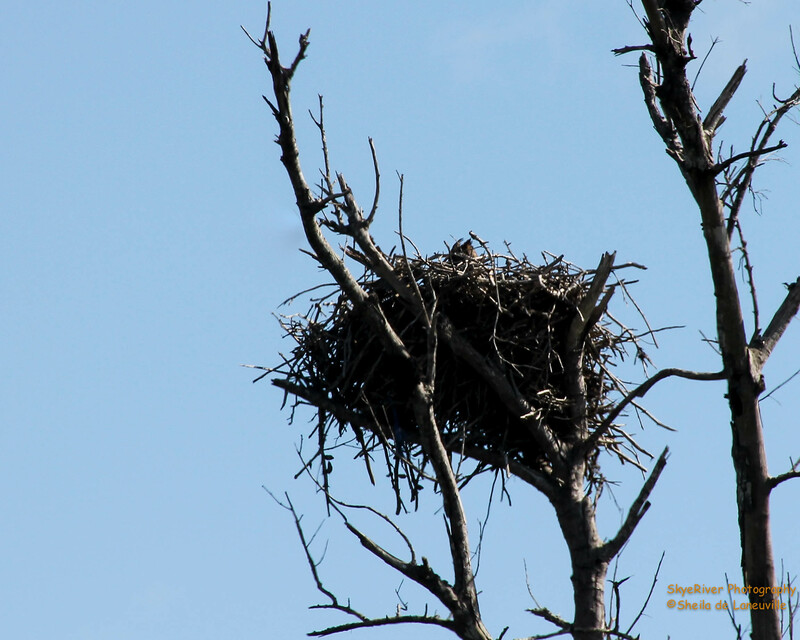 Great shots of the Osprey and the Owl nest. Awesome sightings. Thank you so much for joining in with my critter party. Have a happy weekend! 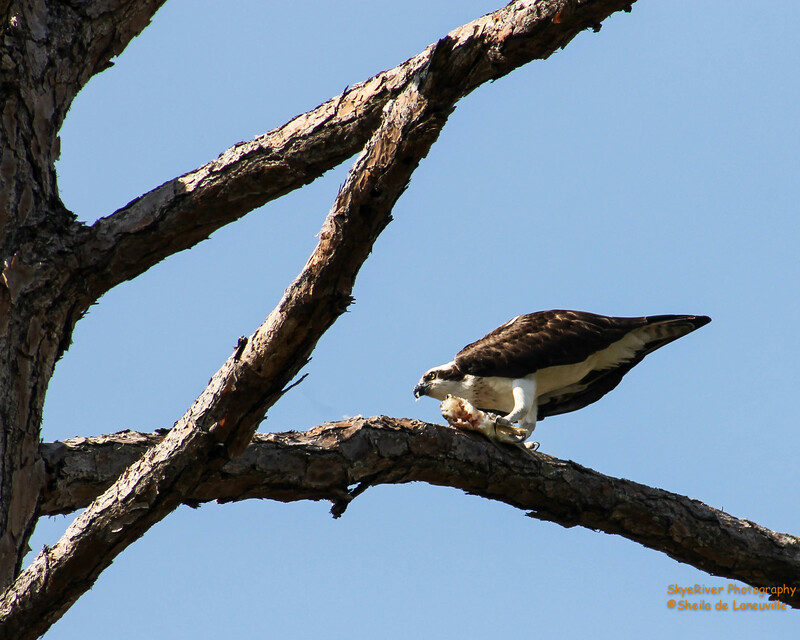 Thank you Eileen for hosting so others can share their bird/critter sightings! Hi Lea! Thanks for commenting. We will be visiting my family in a few months in southern Mississippi! Hope the weather is good! oh, those ear tufts are neat! Stunning images. Have a lovely weekend. A nice looking bird. Looks like he caught a fish.